Ran out on the Trade In Monday on a mission to catch anything swimming around. I ran right back to the Baltimore Canyon where we had good action Sunday. The water was blue and 74 degrees in the canyon. The weed was so thick it made it unfishable most everywhere except in the canyon itself. We picked at a few gaffer dolphin early on but there wasn’t much to it. The radio was quiet all morning and so was our action. We decided to go pot hopping for dolphin to put some meat in the box and break up the monotony. 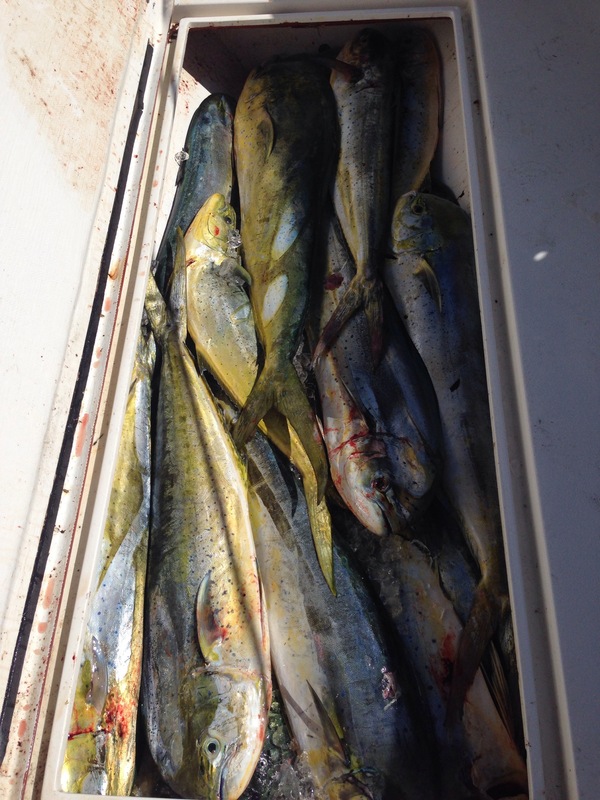 We got into them good for the most part and these were better then out average dolphin we usually see here in the Mid Atlantic waters, so we had a blast on light spinning tackle and put 40 in the boat before we stopped. We did have some instances where the dolphin just weren’t hungry. 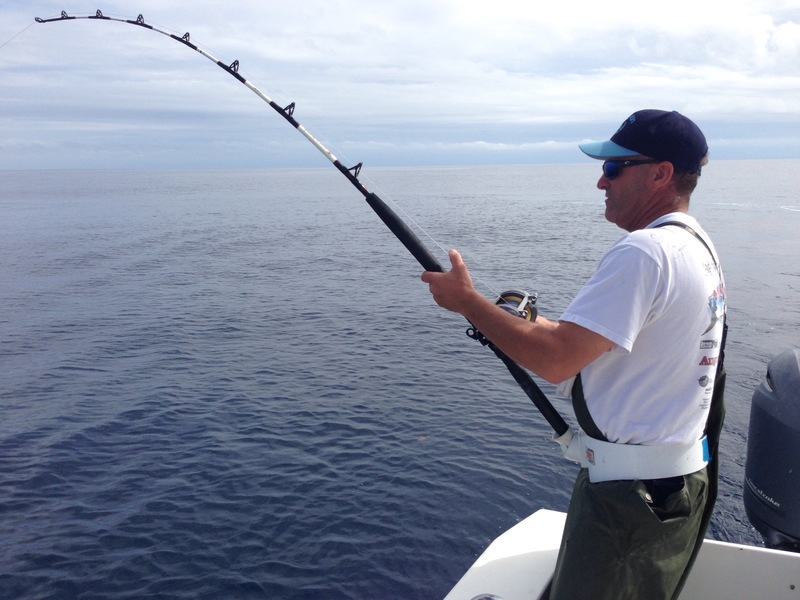 We even dropped to 20# fluorocarbon to see if they were just leader shy, but that wasn’t the case. 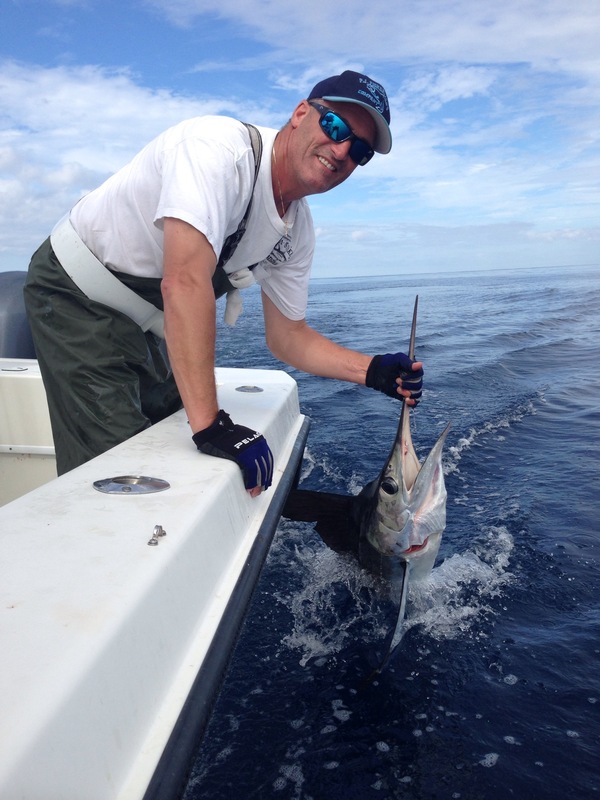 We got back on the troll and managed to release a white marlin which was the icing on the cake. We trolled for tunas around the pilot whales at the mouth of the canyon but the whales were scattered and we weren’t marking what I wanted to see on the sounder so we called it a day and ran home at 6 pm. What a beautiful and flat calm day on the water!